I don’t understand the fascination with Robert Pattinson; although I suppose if I were in a tween and a fan of vampires I would. I remember being that age and totally insane head-over-heals for male celebrities – but I lusted after movie stars like Tom Cruise. You know, actors who didn’t look like the totally stank and could actually spar with a stuntman. 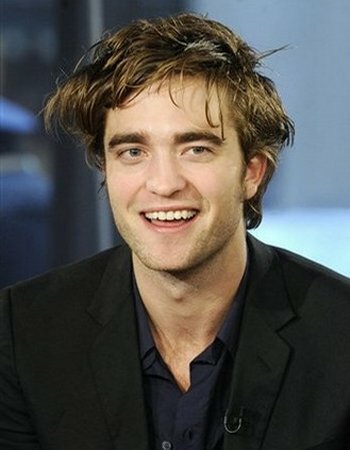 Robert Pattinson, 23, is the first one to admit he’s not very strong. “I punched the stuntman’s face four times — as hard as I could,” Rob recalled. “And he just grinned at me and said he didn’t feel a thing. It was frustrating. Is he wearing clear braces?? previous post: Beyonce Is Pregnant. Maybe. Maybe Not. next post: Marie Osmond To Remarry First Husband Stephen Craig. Allegedly. I am an Iranian living in Iran M……. i love Twilight saga.its best move. 53 queries in 0.637 seconds.